Native iOS framework saving you 70% of your development time. By clicking download you agree to our terms and conditions for the framework. It's a complete framework that takes away much of the pain of getting a beautiful, powerful native iOS App crafted. There's a whole variety of ready to use components for some of the most commonly needed functionality. Every component is fully themable via our awesome theming engine. No need for wrapper apps or wrapper frameworks. 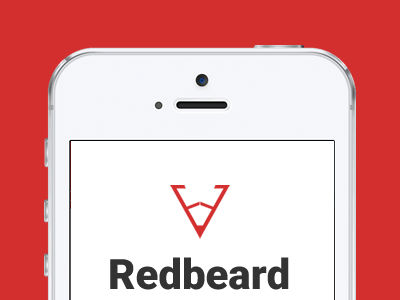 Redbeard is fully 100% native development framework that works with Objective-C and Swift across the whole iOS suite. Playing around with @getredbeard today - pretty snazzy iOS app framework available for download! All the fields in UIKit you would expect and more, such as multiple selection, take an image (camera or library), choose an image, managed multiline text input. We know validation can be a bore which is why adding validation is a single line of code. Right out of the box you’ll be ready to go. Describe the form you want and let Redbeard worry about the fiddly bits like layout and managing the keyboard. Plug and play animations. Custom layouts. Auto sizing and Nestable. Layouts adjust intelligently to changes in orientation and form factor. Can’t find a positioner or animator that catches your fancy? No problem, we’ve made it easy to create your own! Whether it’s pull-to-refresh at the top of your page, or a pull-to-load-next-page at the bottom, it’s super easy to add extend views to all four edges of your content. Can’t find the one you want? No problem, we’ve made it easy to create your own! Build your UI and logic in code, then mark up their appearance in JSON. Code never looked so clean! Elegantly express the appearance of your components using a CSS-inspired theming engine. Supports cross-references, inheritance and hierarchical structure. We’ve even thrown in Font Awesome. Use an icon any time you are specifying an image in a theme, on a button for example. Give it any colour you like and control it’s size down to the pt. Not got the icon you need? No problem, you can add your own. Swipe open sidebars on the left, right or both. A more flexible navigation controller. Use it how you want, it’s just another component - as a parent or a child, full screen or not. Plug in the animator that you want, or write your own. Swipe between pages played out horizontally. 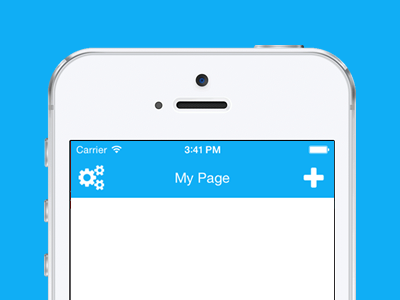 Optionally add a beautiful header with titles that slide and clip beautifully. Tabs can be at the top or the bottom. Manage pages at runtime. Use the tab page within a scroll view. Use any view as your tab button, so get creative! Add toolbars to any edge of your content. They can be pinned, hidden or floating - floating toolbars open and close as you scroll, think Chrome. Don’t worry about content insets and animations, it’s all taken care of. Easily add a managed search bar above your content. Tapping the search bar automatically transitions into search mode. No boilerplate code - simple to set up. A different approach to navigation. Provides behaviour similar to that of a navigation controller, but it opens panes rather than pages. Panes remain active and scrolling between them feels natural. The user gets an immediate sense of their location and can easily explore and change direction. It’s not suitable for every case, but we’re sure you’ll still love it! Perform database queries on the fly without having to fiddle with SQL statements using Plain Old Objective-C Objects. Powerful notification events even allow you to receive notifications when saving & deleting records and when connecting to databases. Transparently serialise and deserialise JSON to Plain Old Objective-C Objects. Including Collections, Inheritance and Hierarchy. Conveniently make REST API calls. Automatically handles the serialisation and deserialisation of JSON. Easy to cancel requests. We like Objective C. Why not leverage it when working with SQLite databases? Make inline asynchronous image and network requests keeping your code clean and your app responsive. It’ll take care of the decoding, caching and streamlining of requests for you. All requests issue a handle that can be used to cancel them at any time. Redbeard gives you more power at your cursor, with hundreds of useful helpers and extension methods. Start and stop activity indication on any `UIView` Want to show an activity indicator and ask the user a question? You can do that inline. Show activity indication on any `UIView` in a single line, stop it with another. Show toast alerts, or open alerts and deal with the user response inline. Even with forms! We'll be constantly adding more samples to help you make the most of Redbeard. What is the Redbeard Framework? An iOS framework and library of components and extensions that remove the complexity and unnecessary boilerplate code required to develop beautiful modern user interfaces. Yep. 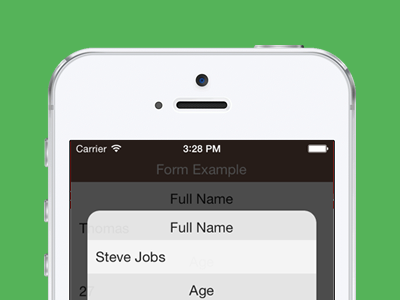 The framework works natively with both Objective-C and Swift. The Redbeard Framework is totally FREE. Simple. Do you guys collect any data with the framework? For example analytics? The framework does not collect any analytics data. Nor does it 'phone home' in any way whatsoever.